Here is a list of FREE VST software that can be very useful for any DAW recording or production. Some will have limitations and option to purchase full unlimited copy. But even for free, they are fantastic tool to have in your DAW. Use the list below to visit the web sites to download them and try. TDR Nova, a freeware parallel dynamic equalizer effect in VST/AU/AAX plugin formats for Windows and Mac OS based host applications. Limited-Z, a freeware (optional commercial version available) look-ahead brickwall limiter plugin in VST/AU/RTAS/AAX plugin formats for Windows and Mac OS. This versatile reverb effect is now freeware and available as a 32-bit and 64-bit VST plugin for Windows based host applications. MJUC jr. is a freeware colorful variable-tube compressor for Windows and Mac OS based on the commercial (but still quite affordable) MJUC plugin. A1TriggerGate, a freeware trance gate effect in VST/AU/RTAS/AAX plugin formats for 32-bit and 64-bit plugin host applications running on Windows and Mac OS. Defacer is a freeware audio mangling tool released by Audio Assault, available as a 32-bit and 64-bit VST/AU plugin for Windows and Mac OS X plugin hosts. Ample Guitar M Lite II, a brand new and completely overhauled version of their fantastic free acoustic guitar virtual instrument available in VST/AU/RTAS/AAX plugin formats for Windows and Mac OS X. 4 Tune, a new freeware virtual analogue synthesizer VSTi plugin for Windows (32-bit only) which aims to recreate the classic bass and lead sounds often heard in modern electronic music. Chordz, a freeware chord triggering/mapping MIDI utility in VST plugin format for Windows based host applications. DeHarsh, a freeware sound enhancer VST plugin for 32-bit VST plugin hosts which run on Windows operating systems. I will keep adding more of them as I come across them. Feel free to recommend any you know of, then I’ll be able to try them out and list them here for many to share. And please make sure to share this page with your friends if you find it useful. Thank you in advance and make some great music in 2016! Want to use some of the comprehensive FX plug-ins that REAPER provides, but stuck in another host? Haven’t made the switch yet? Fear not — you can download ReaPlugs, a package of FX that includes many of the plug-ins that come with REAPER, for free! MFreeEffectsBundle contains a set of audio effects, which are completely free. 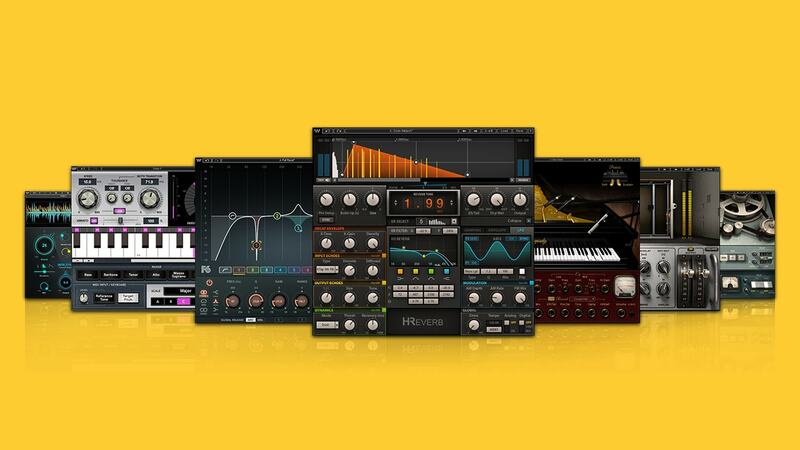 VST Plugins for production and mastering.